There are 26 blog entries for November 2010. Tuesday, November 30th, 2010 at 1:49pm. 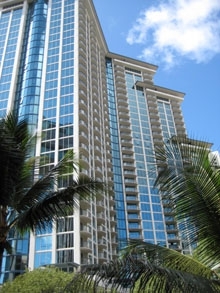 According to "peHUB" and a Press Release from "Tomson Reuters", "A group of private equity investors have teamed up to buy Allure Waikiki, a 35-story condo tower in Honolulu. ST Residential, which is managed by Greenwich, Conn.-based Starwood Capital Group; Fort Worth, Texas-based TPG Capital; WLR LeFrak and Perry Capital partnered on the deal, though no financial terms were released." 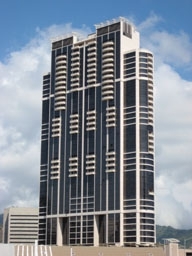 "Allure Waikiki is a 35-story condo tower in the heart of Honolulu's Waikiki beach that was completed earlier this year. Allure was completed at a time when there was a tremendous amount of uncertainty in the economy, especially with high-rise residential real estate." Monday, November 29th, 2010 at 9:46am. A University of British Columbia study has found: "Chinese number preferences can drive real estate prices of certain addresses up or down in neighbourhoods with large numbers of ethnic Chinese residents." Furthermore, the study concludes: "This shows that the address of your house can be more of a selling feature in some markets." Read more Cultural number preferences impact real estate prices: UBC study. Friday, November 26th, 2010 at 10:04am. Here are the latest statistics for sales in the last six months for the Keola Lai, Honolulu Luxury Condominiums. Tuesday, November 23rd, 2010 at 1:47pm. Good news for Americans facing eye-popping property taxes: You can fight city hall, or whichever government body sends you this annual economic albatross. When real estate boomed, property taxes often followed suit. So why aren't they dropping now? First, local governments may go for years between re-assessments, so lower values may be overlooked. Also, a blanket reduction in assessments would mean less revenue for local governments at a time when most are strapped for cash. The National Taxpayers Union estimated earlier this year that up to 60 percent of the country's real estate is assessed too high. Here's how to make sure you don't pay too much. Tuesday, November 23rd, 2010 at 11:43am. According to "Pacific Business News", a study done by CQ Press, 2010-2011 City Crime Rankings, put Honolulu at 272 out of 400 cities looked at. Read more of the "Pacific Business News" article. Monday, November 22nd, 2010 at 10:08am. Today, many buyers are interested in bargains and some focus on distressed properties that may be a short sale, in foreclosure or is bank owned. Many are confused by these different terms and situations so I thought I would define three common situations and terms. Lender Owned Properties - These are properties that have been foreclosed on by the lender. At public auction, there were no buyers, so as a result, the property is now owned by the lender. Typically the lender's asset managers will list these properties with real estate agents. When they come on the market, they are identified in our MLS as "Lender Owned. Friday, November 19th, 2010 at 10:07am. Friday, November 19th, 2010 at 8:35am. NEW YORK — Rates on fixed mortgages jumped from their lowest levels in decades this week. Mortgage buyer Freddie Mac said Thursday the average rate for 30-year fixed loans rose to 4.39% from 4.17%, the lowest level on records dating back to 1971. The 15-year loan also climbed to 3.76% from 3.57%, the lowest since that survey began in 1991. Rates rose because Treasury yields climbed to their highest level since July. Mortgage rates tend to track those yields. Thursday, November 18th, 2010 at 9:58am. Today, many buyers are interested in bargains and some focus on distressed properties that may be a short sale, in foreclosure or is bank owned. Many are confused by these different terms and situations so I thought I would take a moment and define three common situations and terms. Tuesday, November 16th, 2010 at 7:58am. The Federal Housing Administration won't need a taxpayer bailout—at least for now. The agency's cash reserves have stabilized after dropping sharply over the past two years, according to its annual audit, to be released Tuesday. The FHA, which guarantees home loans, has seen its business jump in recent years as the government relied on the agency to back more loans—with down payments as low as 3.5%—to shore up the housing market. The agency guaranteed $931 billion in loans at the end of September, up 36% from a year ago. Three years ago, it guaranteed $332 billion in loans. The FHA's rapid growth, and a jump in loan defaults, had critics warning it would need government funding for the first time in its 76-year history.